WEEHAWKEN, NJ – Closings are underway at Lennar’s 1200 Avenue at Port Imperial, the new collection of luxury condominium homes and hotel-inspired amenities on the Hudson River waterfront in Weehawken, NJ. The first move-ins follow strong sales activity at the boutique residential property which features 103 ultra-modern residences, panoramic Manhattan skyline views, upscale amenities and a convenient location just steps from the Port Imperial ferry terminal with service to Midtown and Downtown Manhattan. Lennar launched sales at the new seven-story building following the success of 1000 Avenue at Port Imperial, the first property to open within The Avenue Collection. The amenity-rich residential buildings are situated within Port Imperial, a two-mile stretch of Hudson River waterfront featuring a beautiful waterfront promenade, shops, restaurants and parks. The comprehensive amenity offering includes a grand salon lobby, library lounge, media screening room, children’s playroom, and state-of-the-art fitness center with men’s and women’s locker rooms with sauna and steam showers. On the 7th floor, the Skyline Social Room features a lounge space, catering kitchen, bar, multiple gathering areas with fireplaces, sound system and televisions; an internet lounge and more — all set against the stunning backdrop of the New York City skyline. Gourmet kitchens feature a full GE Monogram Appliance Suite, which includes a Pro Style 30” natural gas range, Advantium oven with SpeedCook Technology, Energy Star rated refrigerator and dishwasher, and, in select homes, a direct vented Advantium hood to outside air exhaust. Built-in, under-counter wine coolers, GE garbage disposals, and under-counter energy-saving LED lighting are also included. Glass and stainless steel mosaic tile backsplash and a combination of Spazzi Luz cabinetry enhance the kitchen’s ultramodern aesthetic. Linen Caesarstone and Italian porcelain countertops, as well as island and peninsula countertops with a waterfall edge, are also available in select residences. 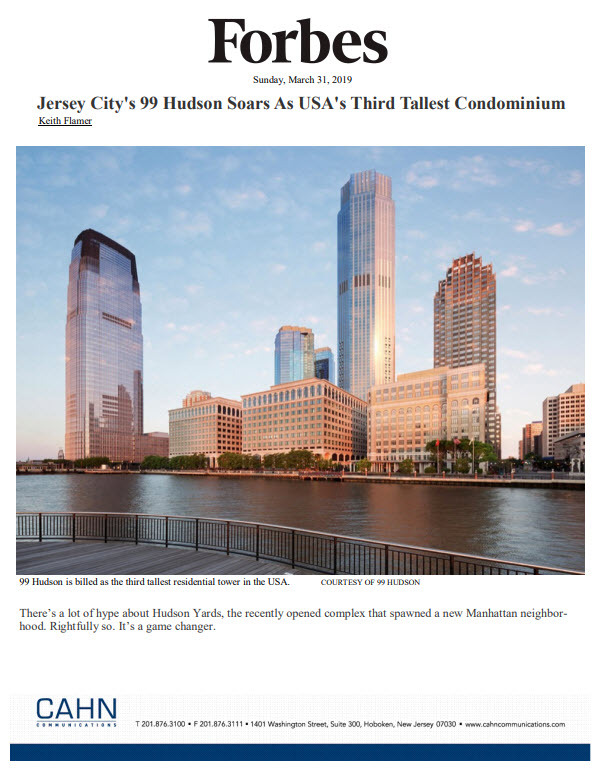 For more information on 1200 Avenue at Port Imperial, visit www.TheAvenueCollectionNJ.com, or call 201-210-0099. The Welcome Home Center is located at 700 Avenue at Port Imperial, Weehawken, NJ 07086.